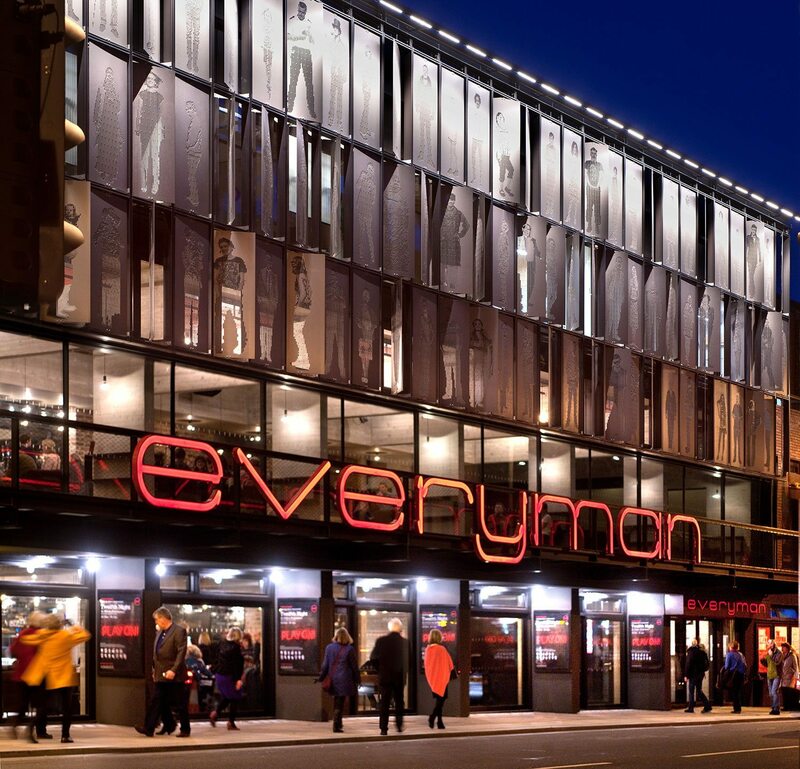 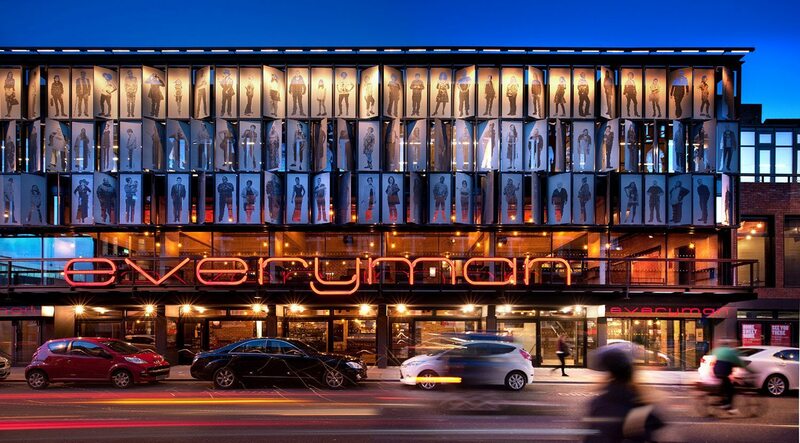 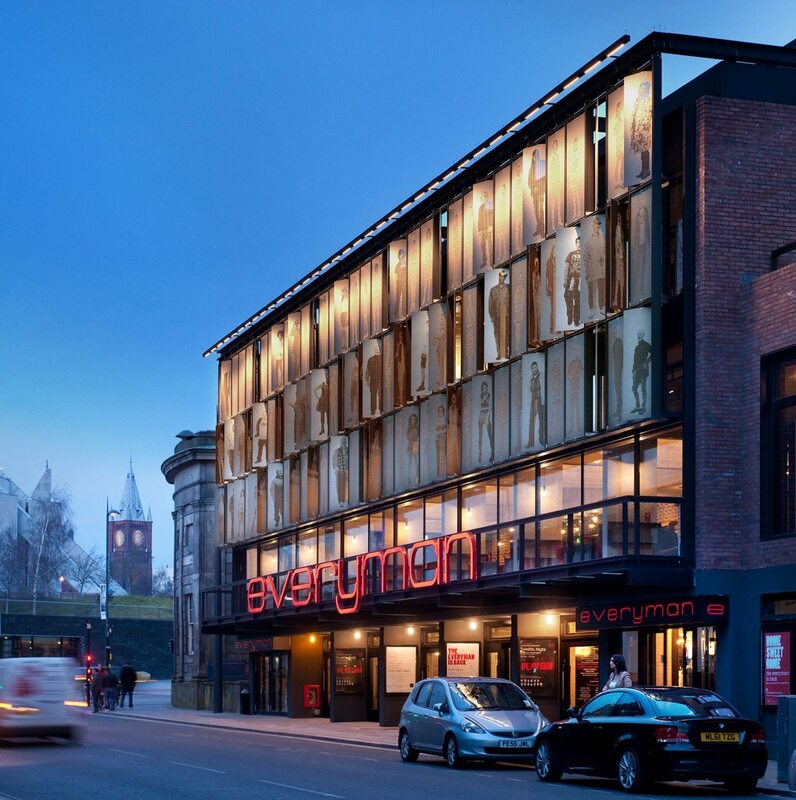 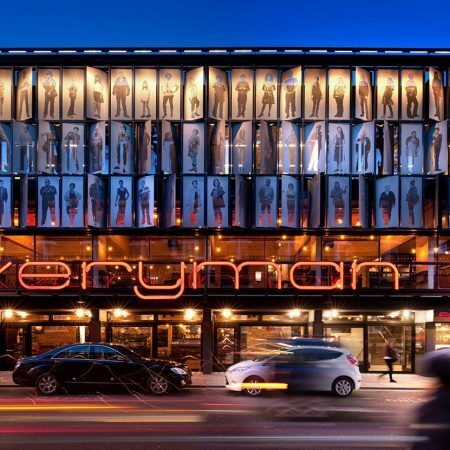 DHA Lighting Design worked with the architects of the renovated Everyman Theater to give the facade an unforgettable and award-winning lighting treatment. 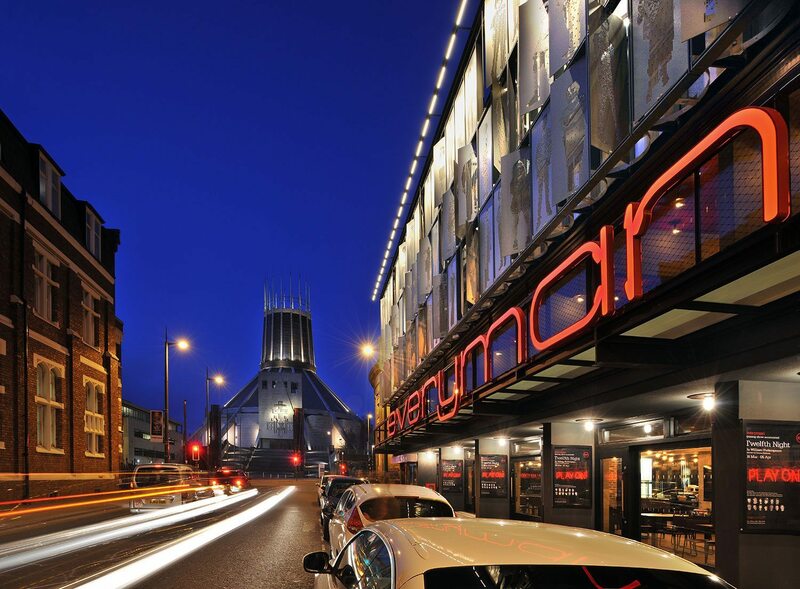 The main west facing facade is as a large-scale public work of art consisting of 105 moveable metal sunshades, each one carrying a life-sized, water-cut portrait of a contemporary Liverpool resident. 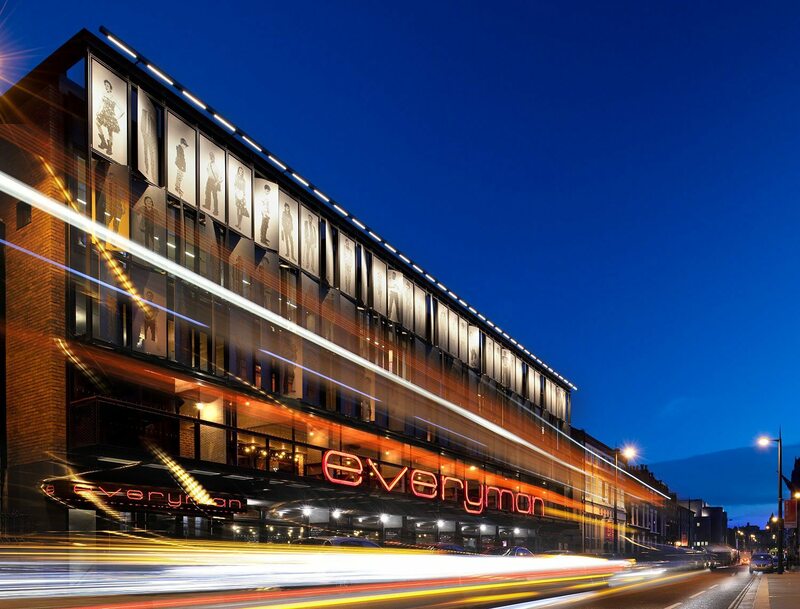 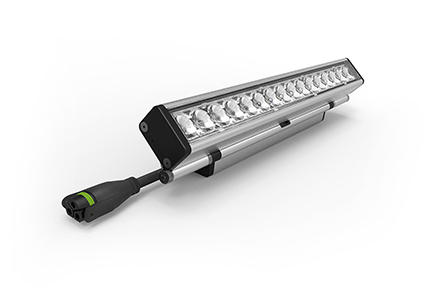 DHA Designs introduced a cantilevered rail along the top of the facade to hide EcoSpec® Linear HP EXT WW to wash down the facade, hiding the fixtures from sight.